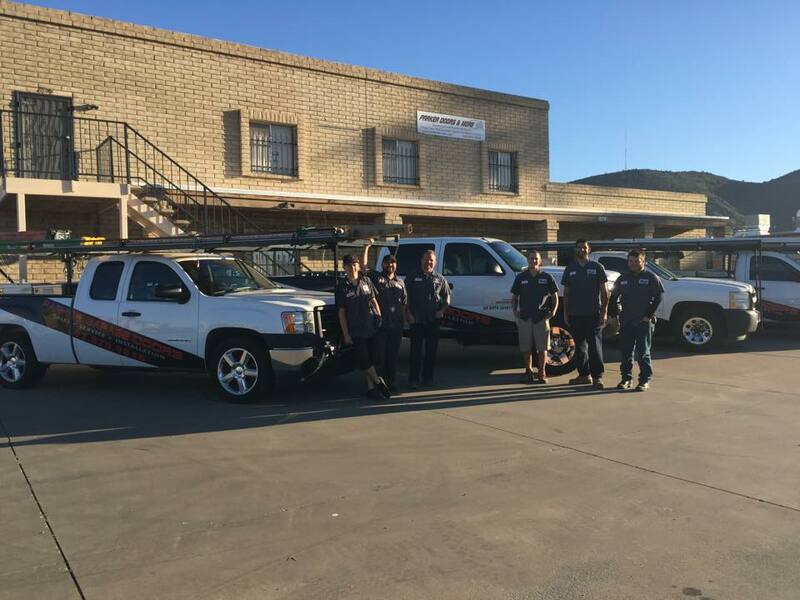 With two locations, Parker Garage Doors serving the entire Phoenix Area & Havasu Parker Garage Doors serving Lake Havasu City & Parker, AZ, we make it easy to assist you no matter your location. We provide excellent service, quality work, and same day service appointments. We are a full service Garage Door Company offering custom garage doors, installations, repairs, sales and service. Take advantage of our current specials and save on already great prices. We look forward to assisting you with any and all of your garage door service needs! Thank You from the entire Parker Family! At Parker Garage Doors, we always highly recommend getting regular annual garage door tune ups. They keep your garage door functioning properly and help eliminate the need for costly emergency repairs. We also know that unexpected garage door repairs are less than ideal and not a fun way to spend your money. 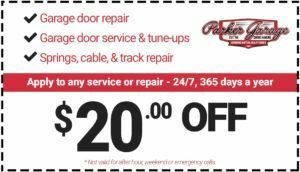 We offer garage door repair and service coupons to our customers to help them save even more money. We service all major brands, and licensed technicians with fully stocked trucks to ensure we meet your needs promptly. 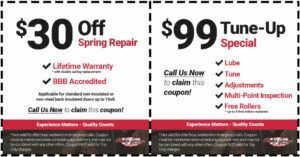 Please mention your coupon upon scheduling your service appointment! We appreciate your business and look forward to continuing to serve affordable, quality garage door repairs in Phoenix, Lake Havasu and surrounding areas. Parker Garage Doors is proud to be the Valley's preferred garage door sales, repair and service company for nearly 20 years. Call today for repairs, tune ups, new installation, emergency services and more.